We welcomed 9 new missionaries this week. They are awesome and so well prepared! President liked being taller than 6'6" Elder Paullin! "Filipino power! Sister Smith, we're taking over the mission!" I love these sweet missionaries. Elder Arines and Elder Nalaza were so happy to meet a fellow Fillipino, Elder Casela. He arrived later in the evening than the others so I still need to get his individual picture. He traveled many hours and we have waited for him to get his Visa for several weeks. We are so happy he has finally joined us. Enjoying a yummy Chipotle lunch in between the city and upstate transfer meetings. Singing "Each Life That Touches Ours For Good" to these amazing missionaries going home. Transfers get harder and harder and tug at my heartstrings. 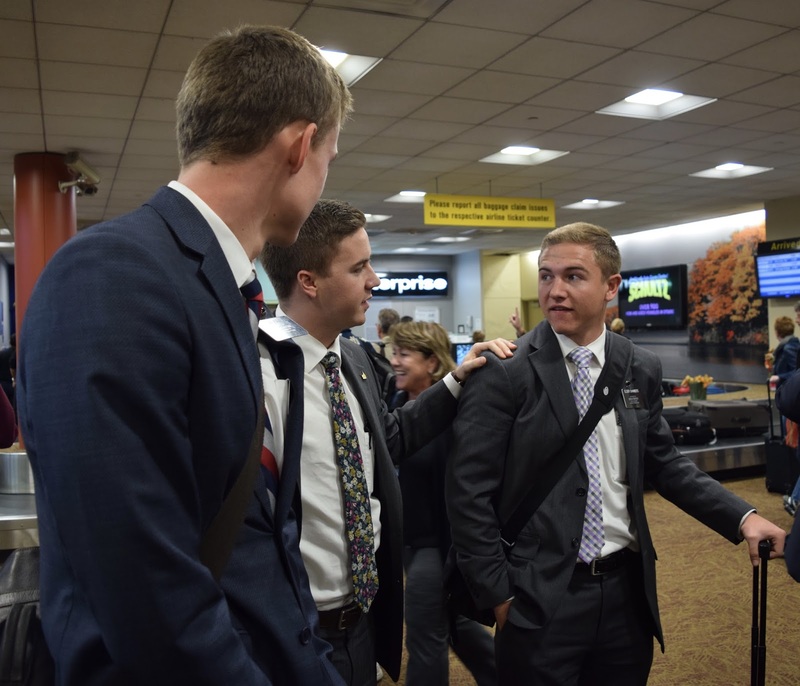 We have grown to love these missionaries so much. They have served so valiantly and been amazing leaders in the mission. We will all miss them. I got to enjoy an extra day with Sis. Amorim as my companion while she waited for her evening flight to Brazil. Thanks for the posts, this is awesome. It is great to see the events of the mission. I love this blog. It's so wonderful to see the genuine happiness on my Elder's face. Thanks to everyone who makes this blog happen. Are there brazilians sisters right now ?